In honor of American Heart Month, I’d like to highlight a few cardiovascular benefits of some of our hormones. With cardiovascular disease remaining our #1 killer, protecting the heart health of our patients is of paramount importance. When it comes to optimizing cardiovascular health, it is of course important to take into consideration healthy lifestyle practices such as good diet, routine exercise, stress management, healthy weight and avoiding harmful habits such as smoking or consuming too much alcohol. Additionally, optimal hormone levels are also something to consider as they may play a very important role offering protection from chronic disease. Studies performed in both humans and animals present several mechanisms by which estrogen may have a cardioprotective effect. This includes beneficial effects on cholesterol as well as improvement in arterial function, providing support for healthy blood pressure and cardiac output. Thyroid hormones also support healthy cholesterol and offer protection to the cardiovascular system. Research has shown low levels to be associated with increased arterial stiffness and risk for cardiac disease. DHEA and its sulfate ester, DHEA-S, are the most abundant steroid hormones in humans. 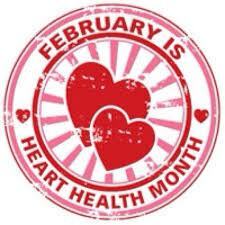 Some studies have concluded that low DHEA levels are predictive of heart disease independent of other risk factors. Low levels of DHEA have also been linked to an increase in risk of atherosclerosis and higher amounts of vascular inflammation, as well as associated with higher cardiovascular mortality as well as all-cause mortality. Testosterone is an extremely cardioprotective hormone. It has been shown to have beneficial effects on coronary blood flow, angina, vasodilation, vascular inflammation, cholesterol and even insulin resistance (thereby offering protection from Diabetes Type 2 and Metabolic Syndrome). Numerous research studies have shown low levels of testosterone to be associated with an increased risk in cardiovascular mortality. Evaluating your hormones is a comprehensive task and is only one aspect of overall health and prevention. Your Naturopathic Doctor is trained to provide you with a comprehensive approach that is individualized to fit your specific needs and health goals. Shufelt, C., et al., “DHEA-S levels and cardiovascular disease mortality in postmenopausal women: results from the National Institutes of Health: National Heart, Lung, and Blood Institute (NHLBI) sponsored Women’s Ischemia Syndrome Evaluation (WISE),” Jour Clin Endocrinol Met 2010; 95(11):4985-92. “Fekdnabm H., et al., “Low dehydroepiandrosterone and ischemic heart disease in middle-aged men: prospective results from the Massachusetts Male Aging Study,” Amer Jour Epidemiology 2001; 153(1)79-89. Hak, A, et al., “Low levels of endogenous androgens increase the risk of atherosclerosis in elderly men; The Rotterdam Study,” Jour Clin Endo Met 2002; 87(8):3632-39. Corona, G., et al., “Hypogonadism as a risk factor for CV mortality in men: a meta-analytic study,” Eur Jour Endocrinol 2011; 165: 687-701. “Haring, R., et al., “Low serum testosterone levels are associated with increased risk of mortality in a population-based cohort of men aged 20-79,” European Heart Jour 2010; 31(12):1494-1501. Iervasi, G., et al., “Low T3 syndrome, a strong prognostic predictor of death in patients with heart disease,” Circulation 2003; 107:708.